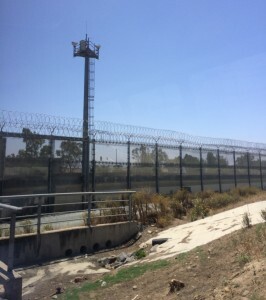 Last week, the good folks at Customs and Border Protection (CBP) put together a tour of the San Ysidro and Otay Mesa ports of entry, as well as a Border Patrol-led tour of the US-Mexican border near Otay Mesa. A small number of bloggers and think tank representatives (me among them) spent a full day getting a look behind the scenes at the daily operations at these vital and busy locations. It was not my first trip to the southwest border, but this one was far more informative than previous visits. First, across the board, the CBP folks were more transparent and open than during previous visits. Second, we got to see the biometric exit pilot project and hear first-hand from CBP and Border Patrol agents using the systems some of the lessons learned from the pilot. While there has not yet been any serious analysis of the data produced in the multi-month pilot project – and it will occur – the anecdotal stories we heard gave us great insight into some of the operational challenges and benefits an effective biometric entry/exit program can provide to improve security AND the flow of people and goods across the border. Little changes can make big differences. Nowhere is that more true than at a busy border crossing. Technology that is designed to speed up throughput of pedestrian and vehicle traffic can be stymied if the people using it slow down while they learn what they are supposed to do. For example, we heard several stories about how a change from presenting a card or piece of paper to a Field Operations Agent at a kiosk to a system where an electronic card reader was required causes significant delays in processing travelers. Once the “regulars” learned what to do and how to use the new technology, however, the process sped up to expected levels. 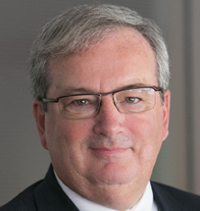 Government contracting and procurement officials, as well as technology vendors, would be well-advised to think up-front about how to incorporate better signage and communications with users to flatten the learning curve. We also heard about the operational test challenges of setting up a covered (yet outdoor) screening area for the facial and iris scanning equipment. At the beginning of the test period, the equipment was placed under a large covered canopy to protect it from the weather. What had not been contemplated by either the government or the vendors was that as the northern hemisphere moved from the winter months into spring that the Earth’s axis would rotate and would “blind” the cameras and biometric sensors from direct sunlight into them. Necessity being the mother of invention, some clever CBP folks reconfigured the equipment and bought some shading material to hang at the edge of the canopy, thus mitigating the issue. There is no doubt that the growing effectiveness of CBP agents at ports of entry are driving smugglers and others to remote areas where they believe the chance of being apprehended is far less. What we saw in the San Diego Sector is that the Border Patrol agents are more effective at catching illegal border crossers than ever before – but a combination of difficult terrain, adaptive adversaries, and political meddling into operations means that in the game of cat and mouse, there will always be challenges in catching them all. Even so, the politically driven myth that the border is teeming with armed bad guys engaged in human and contraband smuggling is not today’s reality. Sure, there are bad people trying to do bad things, but the majority of U.S. immigration issues are caused by visa overstays of people who entered the country legally. Walls, fences, cameras, ground sensors and drone surveillance won’t do a lot, if anything, to address that issue; however, programs like the biometric entry/exit program will provide a good start. 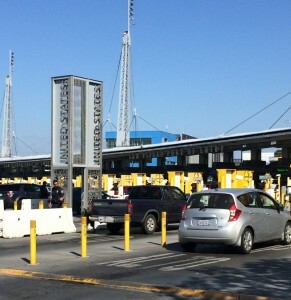 As we watched pedestrians wait in lines up to an hour long just to cross the border, we heard stories about how people try to “game” the system. Some claim to be disabled so that they can get into a shorter line. Some ask for asylum based on false or misleading information they received before making their trip to the port of entry. There are inadequate facilities to detain immigrants who are wanted by authorities or who are otherwise not eligible to enter the United States. Some are ill, looking to find better medical care in the United States. CBP officers and Border Patrol agents face many threats while performing their job, but I suspect most members of Congress wouldn’t list getting infected with “MRSA” as one of them. Yet, as we stood for a briefing in the area where people were entering the United States, a CBP officer advised us to stay away from a particular lane so as to avoid infection. Not everyone was in dire medical straits, of course, but the advice we received was particularly appreciated. We also learned that, contrary to what we had expected, there are no immigration judges located at the ports of entry; that ICE and CBP agents work closely on investigations but that greater physical proximity might lead to more cooperation and that would benefit both DHS components in fulfilling their respective missions. I noted, tongue-firmly-in-cheek, that the implementation of Secretary Jeh Johnson’s Unity of Effort initiative had not yet trickled down to the USCIS and CBP folks in Southern California and drew mild smiles (rather than the laugh I had anticipated). We also received a tour of the newly-opened, public-private partnership facility known as the Cross Border Express (CBX.) The facility is impressive, not only because it is aesthetically pleasing and operationally functional, but because it was designed and is operated by private sector developers (led by Chicago-based developer Sam Zell) who are demonstrating that a welcoming immigration environment and effective security are not trade-offs but elements of the same operation. By providing for security on the U.S.-side with DHS agents, while servicing passengers using an airport in Mexico, this cross-border facility may well be a template for future POEs and foreign pre-clearance facilities. The general impression I walked away with was one where there is greater cooperation among CBP elements, including the headquarters technology assessment teams, than ever before. That is a very good thing. There are thousands of good people who work at and between the ports of entry. They go about their mission every day to make America safer and more secure. They help facilitate the economy that makes us strong. They undertake their mission knowing that as far as they can see, and then over their horizon, there are more cars, trucks, people and aircraft than they can humanly comprehend – and they will keep coming. My respect for DHS agents in the field grows with each visit I make. My admiration goes to those officers who work at all hours of the day to interdict illegal drugs, stop human smuggling, and disrupt the flow of illicit goods and the bundles of money that pay for them. And my gratitude goes to the CBP Public Affairs, Office of Field Operations and technology teams that organized the trip, opened the information gates and let us better understand the difference between reality and political bombast. 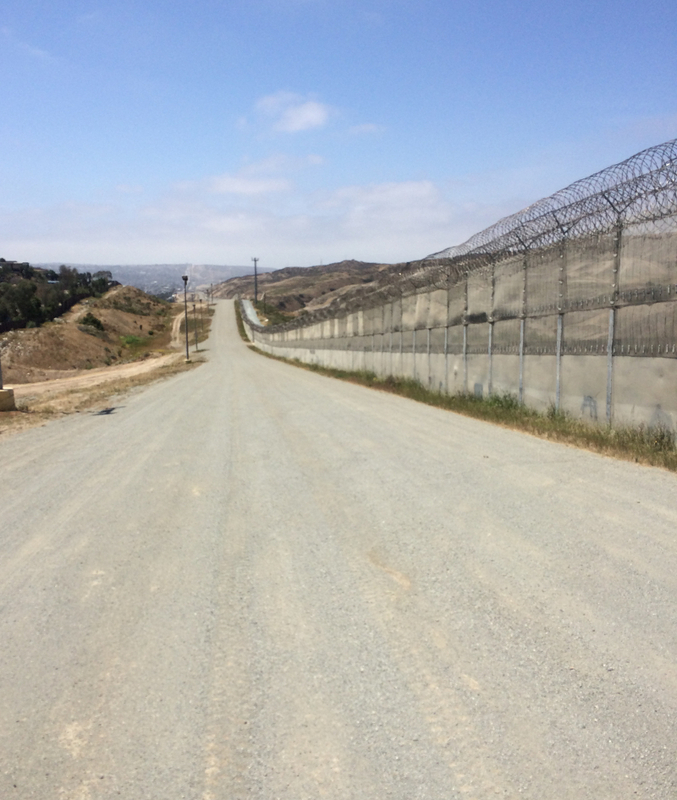 I went on a similar tour (with biometric industry representatives) that not only included the Otay Mesa pilot, but also included some of the terrain that the Border Patrol has to cover. It’s a very challenging situation that can’t be solved by a quick fix, but technology can work, along with processes and personnel, to meet the challenges of the border area.